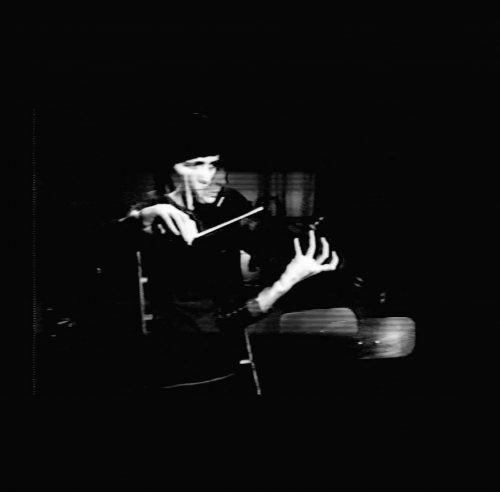 Video still from: Steina Vasulka, Violin Power, 1970-1978. Collection of Carl and Marilynn Thoma. Image Steina Vasulka and BERG Contemporary. Collecting Digital Art: Highlights + New Acquisitions from the Thoma Foundation will feature the first rotation of ongoing seasonal installations, showcasing significant artworks from the digital art collection that include new acquisitions of historic importance. The new installations feature artworks by Guillermo Galindo, Beryl Korot, Brigitte Kowanz, Vera Molnar, Laura Splan and Steina Vasulka. 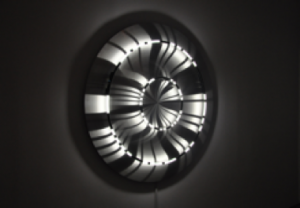 The summer installations will include works by video art pioneers Beryl Korot and Steina Vasulka. Korot’s Dachau 1974 explores themes of the Nazi concentration camp as a tourist site, with an interplay of images across four monitors, resembling a basic hand-loom weaving pattern. Vasulka’s Violin Power, 1970-1978, a visionary work within the early history of experimental audiovisual art, uses recorded sound from her violin performance to generate optical video effects. In this innovative work, Vasulka adapts her training as a classical violinist, taming her instrument to convert sound waveforms into electronic signals that, when synthesized with video, produce abstracted imagery. Additionally, nine plotter drawings from the 1976 Transformations series by Vera Molnar, a 2016 Jacquard tapestry by Laura Splan that explores the use of computerized loom techniques to weave patterns derived from electromyography (EMG) readings, and Waveform Coded Landscape, 2015, by genre-defying performer, visual and sound artist Guillermo Gallindo, will be on view.